Could David Beckham be Princess Charlotte's godfather? 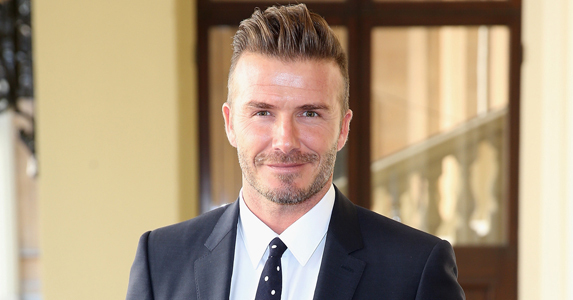 Who was David Beckham almost godfather to? Although the rumours turned out not to be true, David Beckham was a strong contender to be announced as godfather to Princess Charlotte! David Beckham and the littlest member of the Royal family shared a special bond already because Princess Charlotte was born on the same day that Becks turned 40 as it happens! David’s long been friends with Kate and William, working with William as an ambassador for the London Olympic Games and on numerous charity projects. Other contenders included Pippa Middleton and William’s cousin Peter Phillips. Princess Beatrice was also been linked to the duty, but it was thought that Charlotte’s godparents would mainly consist of non-royals – just like her big brother. Kate and Wills mainly went for uni friends when choosing George’s godparents, as well as William’s cousin Zara Tindall. In the end, The Duke and Duchess of Cambridge chose five close friends and relatives to be godparents of Princess Charlotte.